Until now, helicopters relied heavily on Line of Sight (LoS) communications to and from ground station towers. This is a perfectly adequate technology with one important exception. LoS communications limit the operational flight range of the aircraft before it loses the signal from local topography, like mountains and valleys, or sheer distance. In fact, a pilot loses that link around 150 miles from the tower due to the curvature of the Earth. How can we take rotary wing aircraft comms Beyond Line of Sight (BLoS)? The answer is satellite. Commercial Technology Readiness. Commercial high-throughput satellite (HTS) systems are finally delivering the reliability to overcome significant interference factors consistently. Hughes HeloSat, for example, has been tested successfully on nine different helicopter platforms overcoming variances in number, material and length of blades, fuselage blockage, and low Size, Weight and Power (SWaP) hardware constraints. Flexibility. With a roll-on/roll-off installation, operators can easily add the system onto an aircraft when they need to go BLoS and then remove the system for short range missions where LoS comms are adequate. Without having to cut into the roof of the helicopter (though sometimes this method is still preferred based on the helicopter model), teams can save on installation and flight certification costs. Line of Sight Backhaul. In this emerging application, the satellite system backhauls LoS traffic to and from an Unmanned Aerial Vehicle (UAV) in what is known as Manned-Unmanned (MUM) Teaming operations. This significantly enhances communications capabilities in challenging environments like heavy urban or mountain ranges. 360 degree in-flight connectivity. With one low-SWaP antenna mounted on each side missile rail (in a dual-terminal architecture), pilots no longer have to consider aircraft positioning to maintain the transmission with the satellite, enabling them to fly and position as needed. The two terminals automatically hand-off based on which has the better signal. Live HD Video. 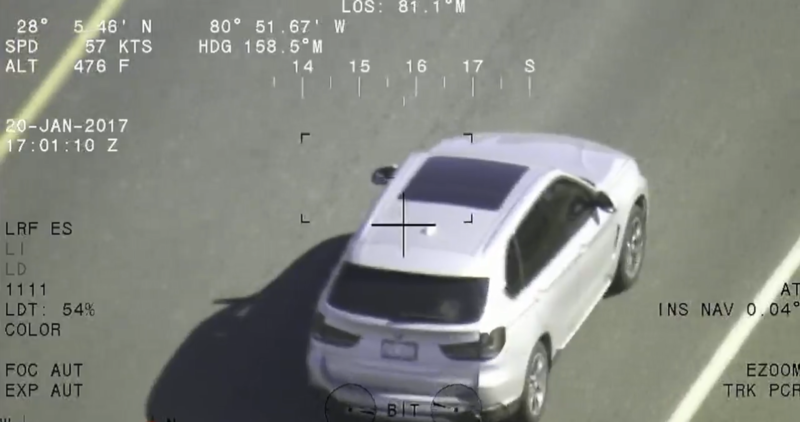 The latest EO/IR camera technology on helicopters opens up new possibilities for Intelligence, Surveillance, Reconnaissance (ISR) applications, especially with added facial recognition software. 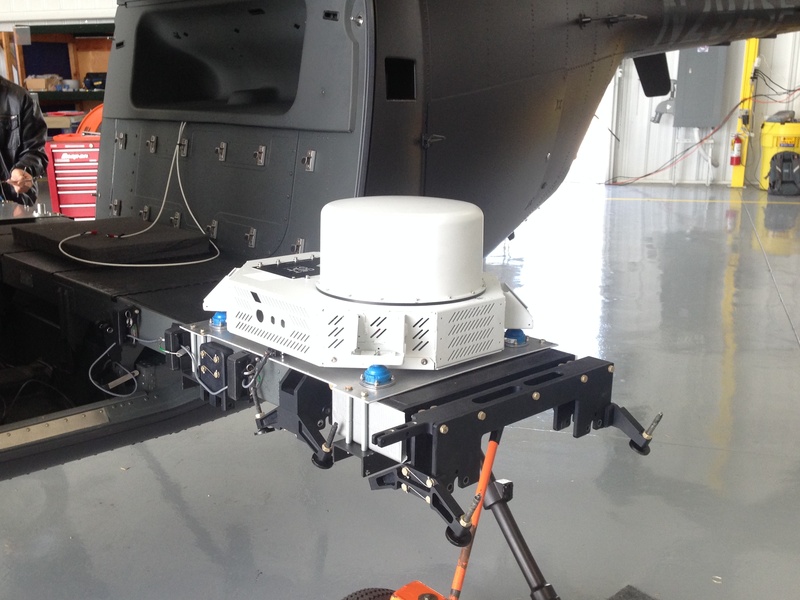 These new rotary wing SATCOM solutions utilize Ku- or Ka-band frequencies, delivering upwards of 10 Mbps – more than enough to transmit live HD video. In summary, satellite communications today can enable rotary platforms to better support situational awareness for warfighters and command authorities, specifically with regard to ISR applications. Ka-band and Ku-band frequencies can deliver more bandwidth and at a more attractive cost than ever. Moreover, the latest generation of High-Throughput Satellite (HTS) system technology has the proven capabilities to overcome rotor interference and deliver the throughput required for today’s global missions.